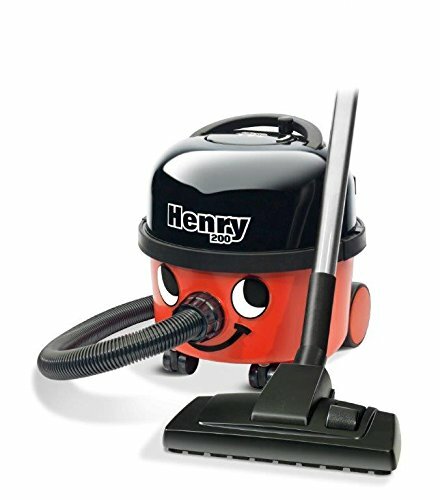 Vax are seriously gaining momentum with their innovative designs and ideas for newer and better vacuum cleaners. 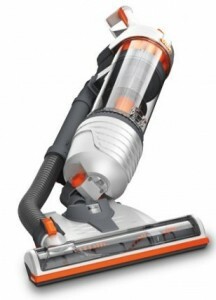 The Vax U88AMB Air³ is the lightest (full sized) vacuum cleaner, but it doesn’t stop there. Most uprights (in fact, all the ones we’ve tested) don’t manoeuvre in the way the Vax U88AMB does. The main body of the unit pivots around (dual axis) so that you can easily clean around furniture. This is the model that is slowly turning me back to uprights. Handling takes some getting used to. The handle can be adjusted in height, so should cater for all users’ needs, but it can be slightly difficult to hold on to. That said, the suction power is something we have not experienced before. It’s an impressive 225 Air Watt machine, but it really feels even more powerful. The dust container takes up to 2 litres, which is what we’d expect from most uprights these days. Of course, HEPA filters are included and a number of great tools – crevice/upholstery tools etc. I’ve never been a fan of hoses from uprights – they never seem long enough and are always pretty cumbersome to use. The U88AMB isn’t any different, but Vax have really tried to make this part of the vacuuming process as easy as possible. One can purchase a stretch hose accessory to extend the onboard hose, but it probably won’t be necessary for those who are already used to using upright hoses for stairs etc. Using the machine is amazing and it rivals many Dysons with much higher price tags. Ideal for anyone who doesn’t want to spend very long cleaning! Handling takes getting used to. How does the Vax U88AMB Air³ compare to other lightweight vacuum cleaners?